Restaurant & Karaoke TAN is a unique project in the heart of Moscow, combines restaurant , karaoke, banquet facilities and a spa- Beauty Spa Asia into a single space! Interior of the restaurant is designed by one of the most fashionable design agencies in Beijing ' Haimon .' 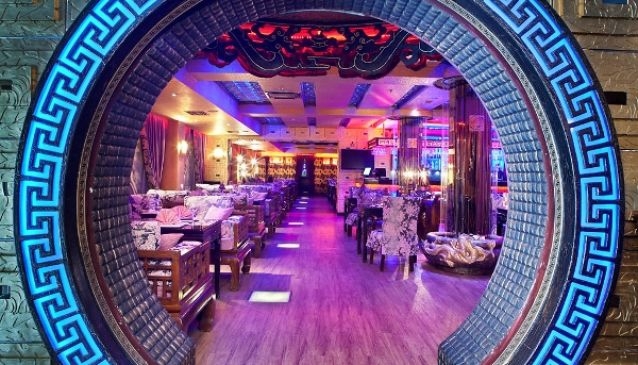 The restaurant has become the epitome of the imperial palace of the Tang Dynasty in modern China. There are two halls in the restaurant - the authentic Imperial Hall and stylish European Hall . The chief of the Restaurant & Karaoke TAN is Lee Chang. He retains all the old recipes of Asian dishes . Original presentation and exceptional standards of quality of dishes will impress even the most discerning gourmet. The restaurant prides its glass glowcase with seafood. The restaurant offers a wide selection of unique varieties of tea , the vine list of the restaurant is the best in the capital among them Italian and French wines , the best grades of spirits and different cocktails. The spa offers a unique ceremony for face and body, the best brands of skincare products. You also can spend unforgettable time in a karaoke, which is in the European Hall. Each guest will find a dish to taste and place for the soul in a unique complex restaurant TAN Asia and Beauty Spa!